Several weeks before Christmas, I splurged on a new lens for my Nikon D300. Unlike the two lenses I purchased after the first of the year (a new tax cycle), this one didn’t cost an arm and a leg. Yes, I’m the proud new mother of a Lensbaby. 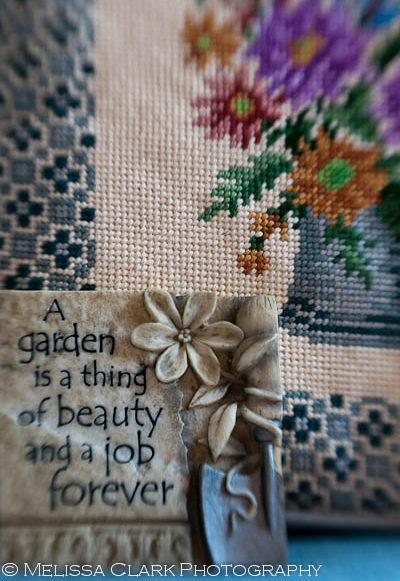 This little garden plaque tells it like it is. As you can see, a Lensbaby (or at least this version of it) has a very, very small area of sharpness (which photographers call the “sweet spot) – deliberately. Its sweet spot can be angled manually, so you can create the sharp area of the photograph you want to create in the center, in any of the corners, or any where in between. As I’m discovering, it helps to have very good eyesight since you have to focus manually (there is no autofocus with these lenses, unlike my others). So, here are some other sample shots, almost none of which is tack-sharp anywhere, although you can see in each instance what I was aiming for. Needless to say, it helps if you can use a tripod, which I wasn’t able to do with any of the following images. 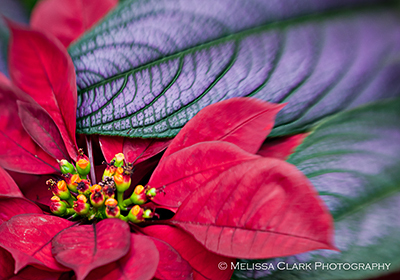 Poinsettia and Strobilanthes leaves at Brookside Gardens Conservatory. Orchid spray at Brookside. 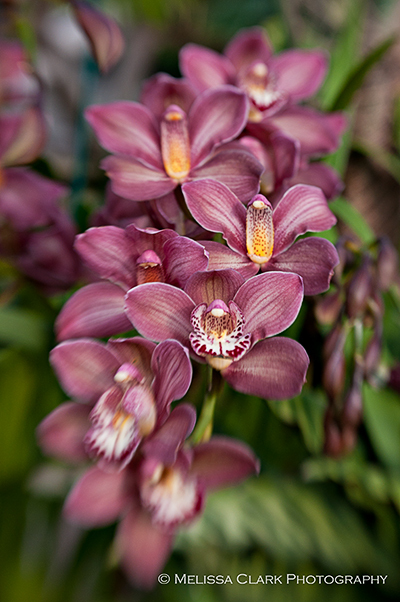 I was trying to get the center of the middle orchid sharp but wasn't entirely successful. What appeals to me in all of these images is the “falling away from the center” feeling. It creates a somewhat dreamy, romantic feel, which I hope will be perfect for selected images in garden shoots. An unknown annual in the Conservatory at Brookside Gardens. 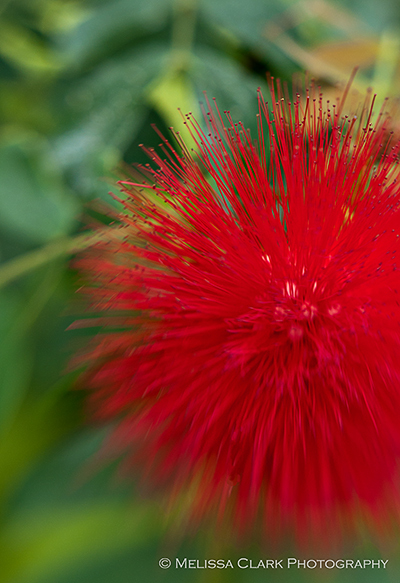 Only the top portion of the blossom is sharp. Last, but not least, is an image I took on my way to work yesterday, of some vibrant Ilex verticillata (winterberry) fruit on a group of shrubs near my neighborhood. I like the way the spray fades away to the right and top of the image. 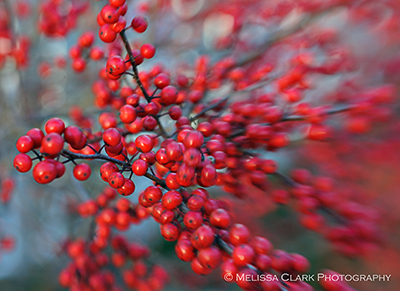 A spray of Ilex verticillata berries. For more information about the variety of different kinds of Lensbaby lenses and “kits” (I bought the macro kit but there are also wide-angle accessory kits, wide-angle kits, and on and on), or just to see some fascinating images that have been made by photographers using these lenses (including portrait and landscape work), you can visit the Lensbaby website. And wish me luck bringing up my own Lensbaby!